Three Times Theory: "The Antidote"
There is a type of man that becomes a comedian, and there is a mountaineer. Speaking of the latter, it turns out that during expedition one risks his life much more than necessary. Studies have shown that many climbers tend to be obsessively attached to their previously set goals. Especially in Himalayas, in changed weather conditions or with injured member of a team, much appropriate flexibility is not there at all. Many climbers show extreme stubbornness in such situations. Target must be met and turning back is not an option. This specific syndrome has been called goalodicy. One of many discoveries of yet another book enlisted in anti-self-help genre, "The Antidote". But dangerous doctrine of achieving goals at all costs is not the main theme there. 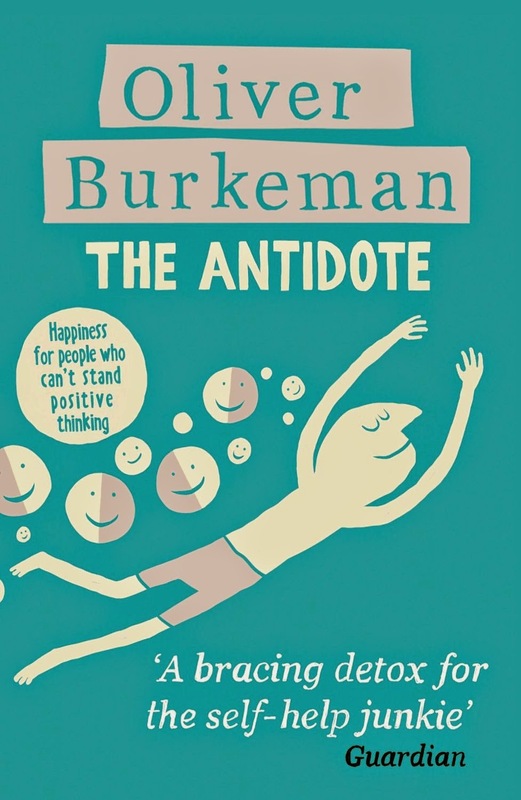 Author Oliver Burkeman focuses rather on glory of - wait for it - negative thinking, as opposed to global industry of positive thinking, positivity run amok, orthodoxy of optimism. In his journalistic journey the very rational Cambridge educated Brit provides an alternative attitude to self development. What I found interesting was his interview with Eckhart Tolle. Not much what the self-appointerd sage said, but the hilarious, well written description of his thought. Entering Tolle's apartment journalist stumbled upon first obstacle. Even ‘How are you?’, I had suddenly realised, was a potentially problematic opening question when the word ‘you’ – and what, exactly, that might mean – was the very thing I had come to discuss. Burkeman managed to deliver Tolle's message in surprisingly entertaining fashion, since the author of "The Power of Now" is not very charismatic. But the message is strong, and even sceptical Burkeman was under influence of peaceful atmosphere of the house. When is was over he noticed that he doesn't feel like going anywhere. Instead, he would prefer to enjoy the moment in silence for few more hours. And this time he wasn't ironic. Another surprise came with a Buddhist retreat, which despite earlier doubts turned out to be worth recommending. Not identifying with thoughts, not identifying with ego opens a new perspective. One of the strongest points the Author makes is this: our constant efforts to eliminate the negative – insecurity, uncertainty, failure, or sadness – that is what causes us to feel so insecure, anxious, uncertain, or unhappy. In a long run convincing yourself that you are someone else than you are, you're in a situation you're not, simply fails. As painful as naked truth might be, it's the only real path to progress. I still have a lot more to say than this, so my work on "Maps" continues.